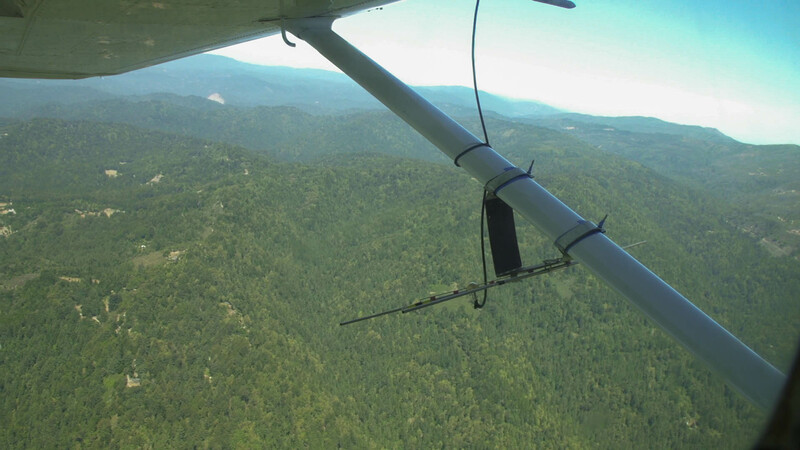 Every month, one of our biologists goes up in a plane to try to locate all of our study animals and download the GPS information from their collars. 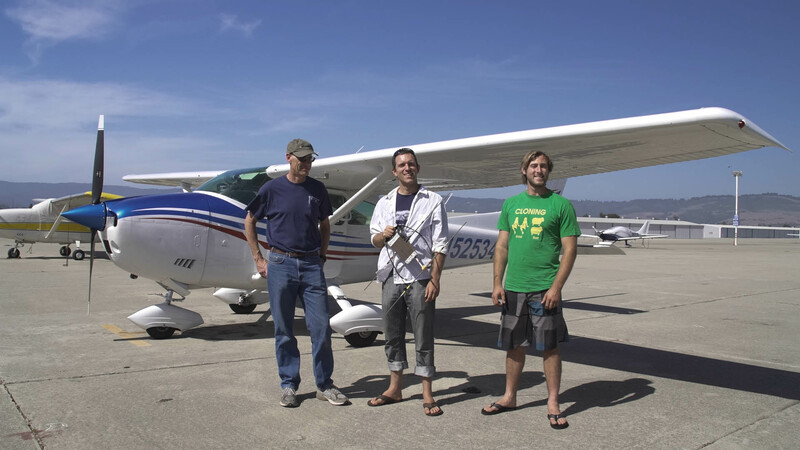 Flying is the most efficient way to download the GPS data because we can cover much more ground than driving. 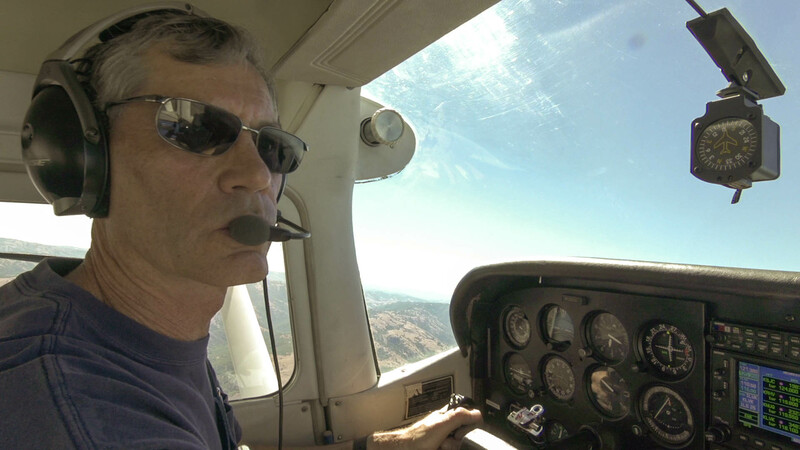 We are lucky to work with pilot Mark Dedon, who has been flying us around for the last three years. 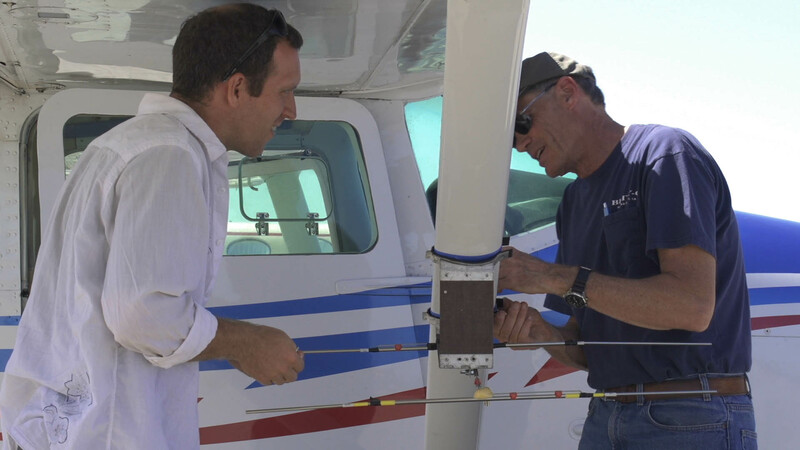 Before the flight, Paul and Mark must first attach the antennae to the plane so that Paul can listen for the puma’s location in the air and then download its data once located. Once the antennae are secured, then it’s time to go airborne. Mark flies around as Paul listens for VHF signals from puma collars. Once he hears one, he asks Mark to fly closer to the target animal and uses his receiver to communicate with the animal’s collar. Those with weak stomachs or small bladders don’t do very well on these telemetry flights because the plane often has to circle above the animal for many minutes while the collar download is completed. To find all of our study cats, which range from Corralitos to Palo Alto, it usually takes several hours of zigzagging up and down the Santa Cruz Mountains. From a thousand feet up, the impacts of habitat fragmentation and loss is really evident across many parts of the Santa Cruz Mountains. It’s not hard to look down into the trees and imagine a puma moving through the forest not far from a road or trail. Without a bird’s eye view of where “civilization” begins and “wilderness” ends, it’s impressive that pumas can manage to have so little interaction with humans.